Are you a thrill seeker? Looking for your next adventure? Stop right there and check this out. Welcome to part two of Thrill Seeking, you can read part one about Velocity and Tree Top Nets first if you haven’t already. In part two we are looking at Titan and Bounce Below. The ultimate group zipping experience, Titan is currently the largest zip zone in Europe. 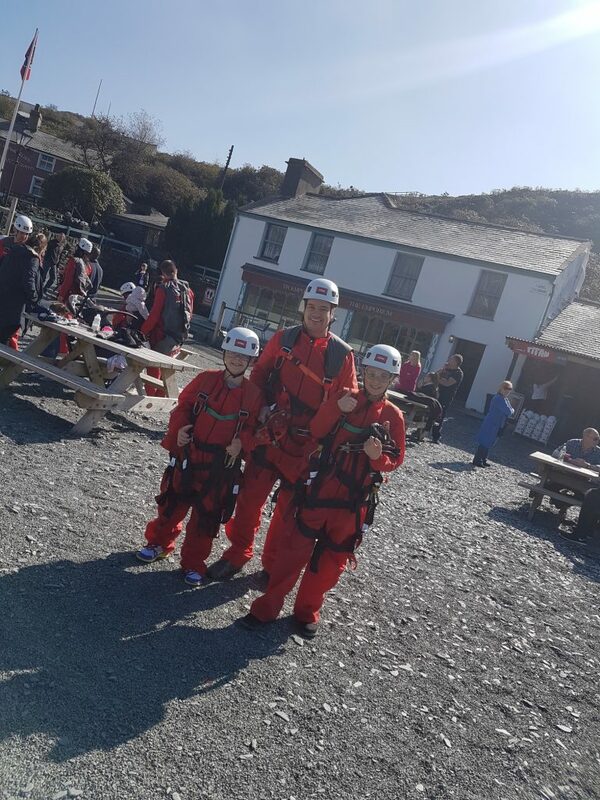 Zipping in a seated position, you are afforded stunning views over Blaenau Ffestiniog and down the valley ahead, and it’s pretty spectacular, especially on a clear day. Zip World Titan encompasses three zip lines – Alfa, Bravo and Charlie. Each rider travels over 2,000m. 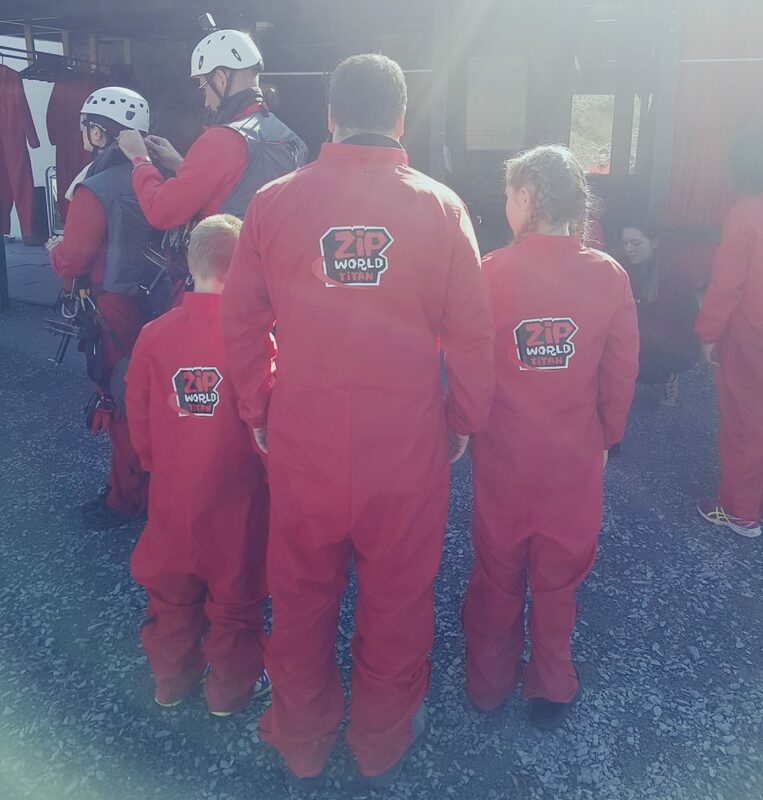 The total length of the zip lines is over 8,000m, all rolled into one amazing experience. Titan is available Spring until Autumn. Just like with Velocity, the safety and briefing you receive is first class. The staff really are fantastic and the kit you are given makes you look and feel the part too, as well as stay safe of course. 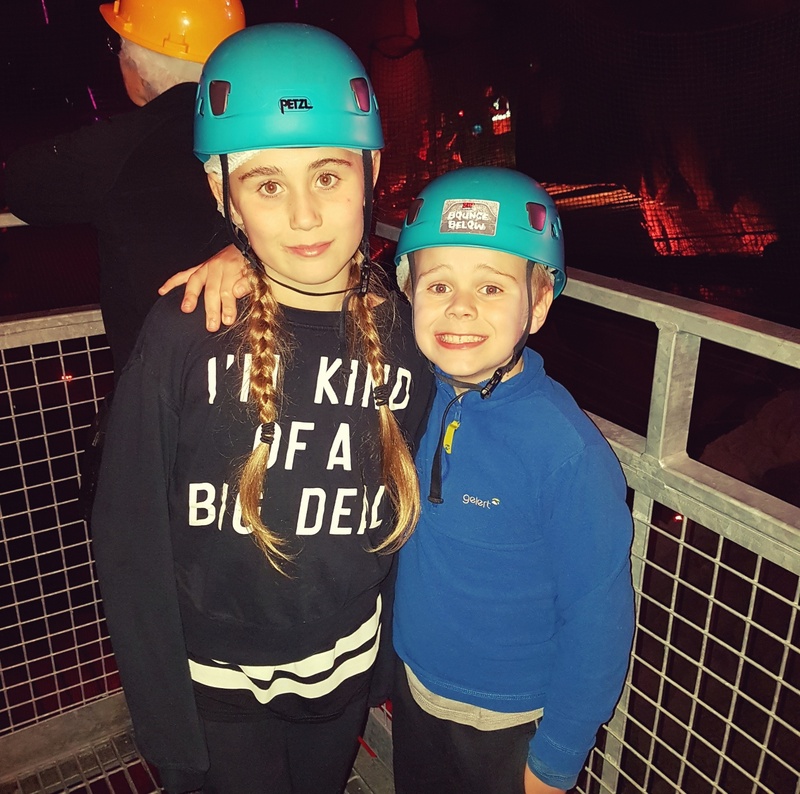 Titan is suitable for anyone over the age of seven, although the big kids combined weight wasn’t enough to see them to the end of the first zip line and they got a bit stuck. Nothing that wasn’t quickly resolved and certainly didn’t phase them – just added to the excitement of the day. There is plenty to do while you wait and spectators can get a great view of the final zip line. There are cafes, toilets, a gift shop, a little play park area and even a train that the little boys enjoyed climbing on. After Titan we were excited to try out Bounce Below. Embracing our inner James Bond and Lara Croft as we bounced and explored deep underground. Bounce Below has re-opened bigger, better and bouncier than ever. The verdict: WE LOVED IT and can’t wait until the little boys are big enough so we can all bounce together. 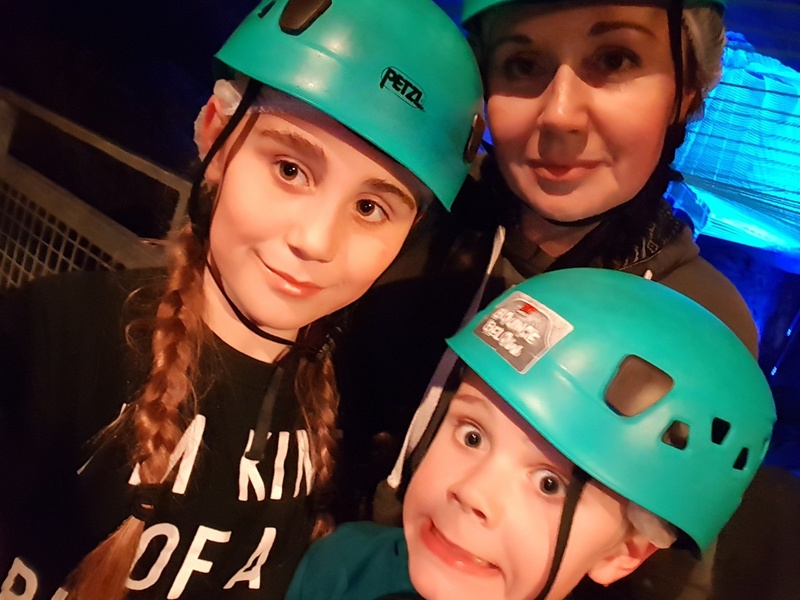 After the children got over the shame of wearing a hairnet under their helmet (to protect you from other people’s sweaty heads I might add), we were all set to explore the cave and get bouncing. You have an hour to explore and if you aren’t sweating on your way out you haven’t bounced enough. One tip – even if you are cold up top, don’t put a coat on as once you start moving you will roast! There is a place for spectators so they can also go into the cave and just not bounce, but little ones need to stay up top as it really isn’t suitable. We found the whole experience totally thrilling and invigorating and it made for a great family adventure. 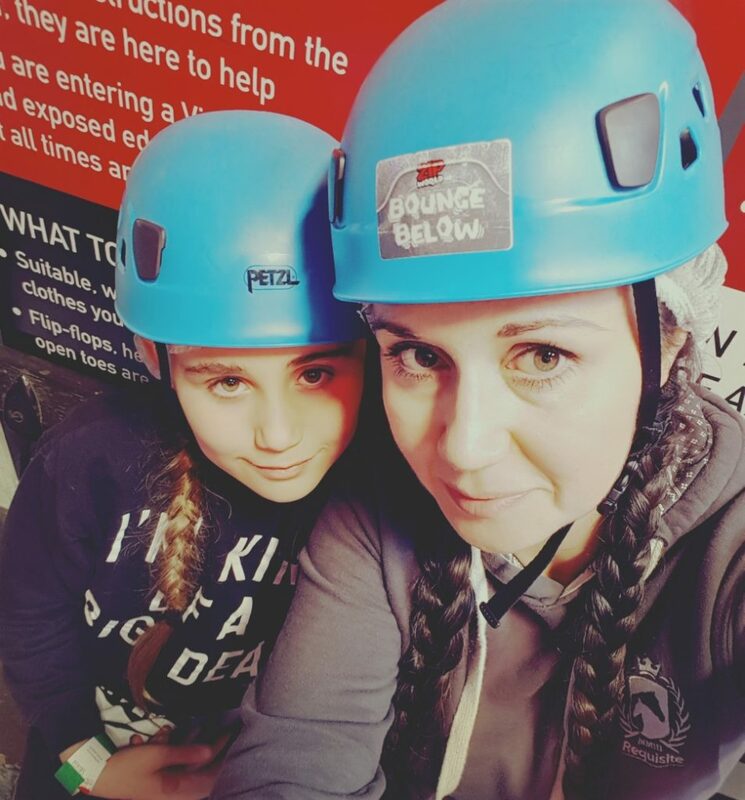 There are still so many activities we have to try at Zip World – their latest attraction opens next month and looks like a lot of fun. You can check out the new ride “Fforest Coaster“. Have you been to Zip World? What would your family enjoy the most?